Note: click on picture for full size. 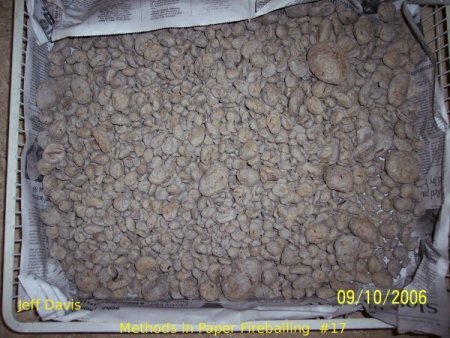 This article explains the various methods that I have used to make paper fireballs. The most practical method is what I call the "rock & roll" method. The end product can be seen in the above picture 17.